Hello, I need help to find a way for switching the value of a variable between each iteration of an optimisation by "fminsearch". Is it even possible ? 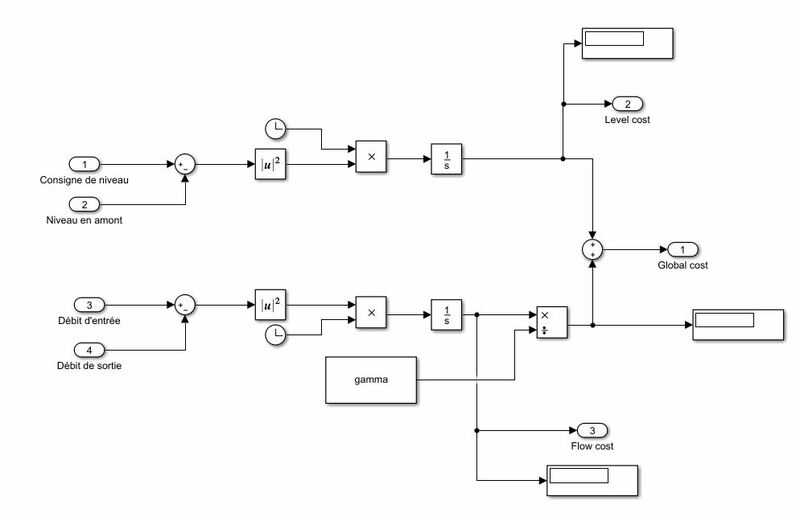 Actually, it's a ponderation factor of a cost function which I made in Simulink. The function my_problem_2 is the function doing the optimisation with fminsearch. Actually, I want to calculate gamma and change its value for each iteration. I'm calculating it for each iteration in the loop but at the moment, it's useless, because I don't know how to change it when fminsearch is working. I know I'm asking a lot but I'm really blocked on this. I do not understand what you hope to accomplish. You are free to ask fminsearch to take just one iteration and then stop, but I don't think that is what you want. If you would explain what you hope to get out of this, what you are really trying to obtain as the result of some calculation, then maybe we would have some ideas. Alan is as puzzled as I am, I think for good reason. What you are doing would seem to be creating an objective function that is signifcantly non-smooth, and probably discontinuous. As such, it will make fminsearch potentially fail (I'd say you will make your results unstable), even if you managed to figure out how to do this. Your goal may possibly be accomplishable using a tool like GA, which is more tolerant of such shenanigans. But even there, it is not at all clear what you are trying to accomplish. Actually, I have a cost function with two parts. And I want to make the cost of both parts always equal, so fminsearch minimizes them equally at each iteration. For that, I need to calculate at each iteration gamma which is the ponderation factor, and change it to make the cost of both parts equal ! But maybe, like you said, it's impossible to do this with "fminsearch" ? If gamma has to be changed at each iteration, can't you let the error function change it? The error function is called at each iteration. I don't know, how can I try this ? I don't understand the problem well enough to give any detailed suggestions, but my general idea was that the error function could simply call the function to recompute gamma, passing as parameters the current level and flow costs and whatever other values are needed. I still think that I do not understand what you are really trying to do. But if you wnat to keep two functions equal, then in fmincon you can represent this requirement as a nonlinear equality constraint. Such a constraint will not necessarily be satisfied at each iteration, but should be satisfied well enough by the end. I will show you with a screen, it will be easier. You see, there are the level cost, and the flow cost. But my fminsearch is minimizing the global cost. I want both costs to be the same order of magnitude at each iteration, so fminsearch optimizes them equally and doesn't focus on the most important cost. And like I said, for that, gamma needs to be calculate at each iteration and changed in the Workspace !